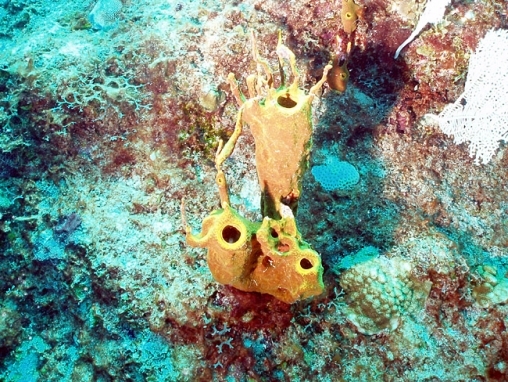 Yellow or gold tubes, each tube rarely more than 30 cm in clear water, reaching 50 cm tall in turbid reefs. 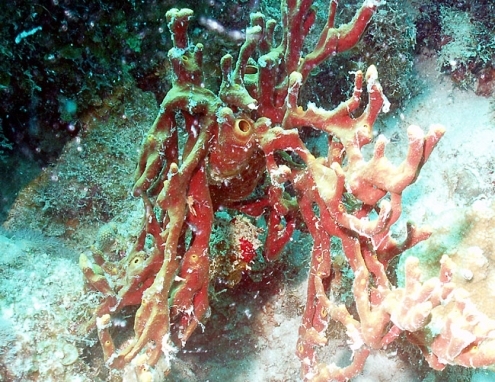 This species always shows many irregular projections and tendrils branching off from the tubes. 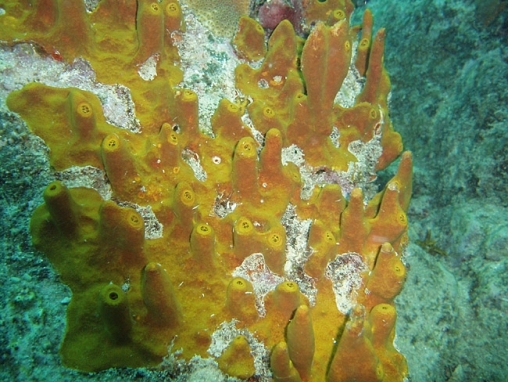 In very sedimented areas these become ropes whose mass may equal or exceed that of the tubes themselves. 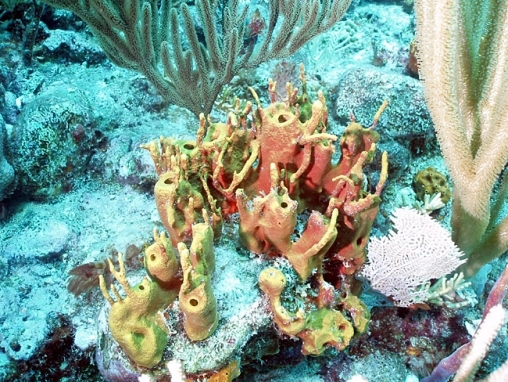 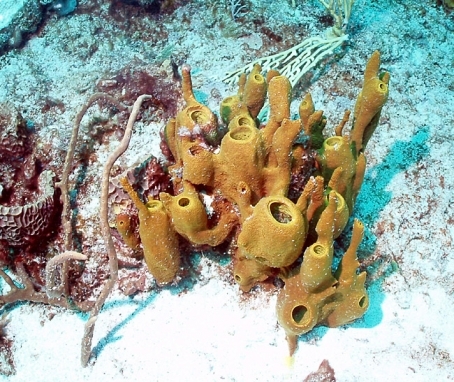 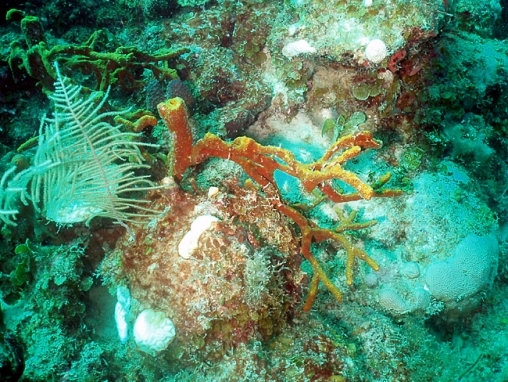 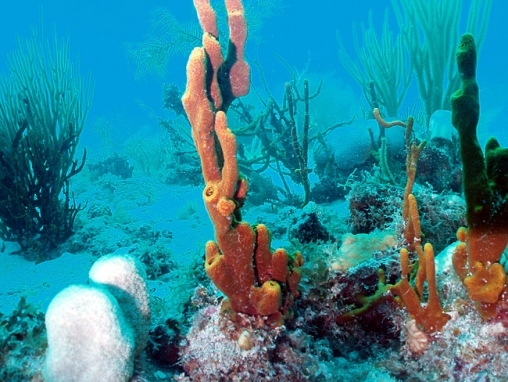 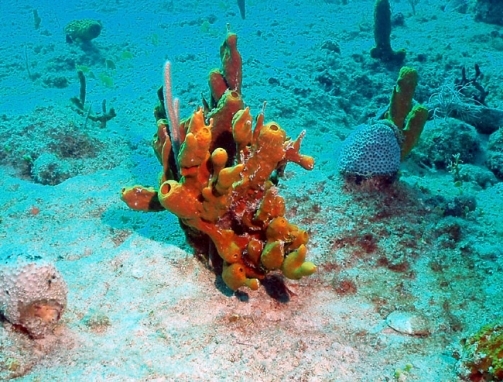 The main tubes are never missing, so the species cannot be mistaken for a rope sponge, but compare the rope-like extensions of the most developed examples shown here with those of the yellow rope sponge Aplysina fulva. 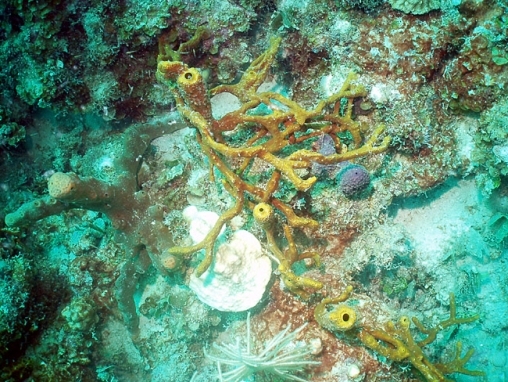 This demonstrates how the same genus Aplysina embraces both tube forms and rope forms.